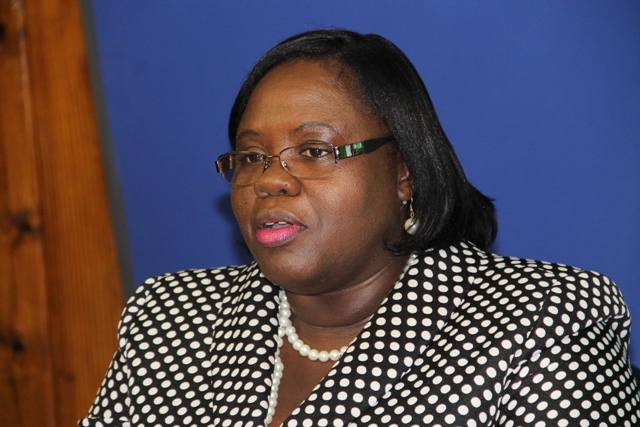 NIA CHARLESTOWN NEVIS (APRIL 02, 2015) –The following is an address by Junior Minister responsible for Youth and Sports in the Nevis Island Administration (NIA) Hon. Hazel Brandy-Williams on April 01, 2015, on the occasion of Youth Month. This theme reflects our recognition that the arts are important in the lives and the future of our young people. The Arts provide so many opportunities, many of which are under exploredand so, during Youth Month, a renewed awareness of these opportunities will be communicated to the general public. When we think of the arts, we often think about drawing and painting. However, there are several branches on the tree of art. These include but are not limited to: the performing arts, visual and graphic arts, literary arts, decorative arts and culinary arts. The Arts has several benefits that can serve to catapult our young people to platforms yet unreached. As such, the Department of Youth and Sports seeks to educate the general public but specifically our youth on some of these benefits. As the theme states, the Arts is an outlet for expression. Many of our young people have so much creativity bottled within, that they are constantly seeking ways to unleash their creativity and talents. The Arts, therefore, provide such an opportunity for them to do so. There are times when elements of society negatively affect our young people,the Arts allows them to freely express their inner feelings. Our young people have the capabilities to write and recite poems like our local poets such as Earl “Pancho” Morton and Tafari Ayinde. They have the potential to reach the world stage in poetry just as the late Maya Angelou did. There is nothing standing in their way, except that they may not know where this art form can take them. Our young people can write songs in any genre, providing social commentary like so many of our local calypsonians such as: King Dis and Dat, King Meeko, King Binghi and King Astro. They can become just as great as The Mighty Sparrow and or the late Robert Nesta Marley. They can only do this, if they are aware of the opportunities that are available and with guidance and channelling their talents in the right direction. I challenge the adults in our community, to encourage our young people, especially those who are inclined to the Arts, to explore and build their confidence in Arts Expression. The Arts provides an alternative for deviant and anti-social behaviour. As an outlet of expression, the Arts gives our young people avenues to channel their frustrations as opposed to physically taking them out on others. It also keep our young people gainfully occupied which limits their involvement in activities that can potentially lead to incarceration. We recently witnessed the performance of the Reformation Group Impression (RGI) Band from her Majesty’s Prison in the Square for the second consecutive year. Through the work of Operation Future, Her Majesty’s Prison now has a full Arts Reformation Programme. Many of the inmates have confessed that if they had such opportunities as youth, they might not have engaged in the behaviours that landed them in prison. We should not wait until our youth are incarcerated,to recognize the importance of the Arts in minimizing youth involvement in such deviant behaviours. The Arts provides many avenues for employment as well as entrepreneurship opportunities. Many artists have the opportunity to travel worldwide and earn an income. The Arts can therefore be viewed, as a viable option for relieving the youth unemployment issue which we currently face. We have several Nevisians who have work within the Arts and earn an income which can sustain them and their families. Our chefs have the opportunity to not only work in hotels but to open their own catering businesses, showcasing their skills with delectable cuisine. We have several musicians who play in bands, play solo instruments to the enjoyment of listeners. They are able to have fun and do something that they love while earning an income. When we look at a person such as Calver Lee Swanston, affectionately known as Gharlic who has performed locally, regionally and internationally; there is no doubt of the exposure that the Arts can bring. The Arts creates an avenue for positive interaction with peers. Our young people can learn a lot from each other, through their involvement in the Arts. They can encourage each other, build team spirit and demonstrate positive peer to peer interactions. The Arts also serves as a source of inspiration. Involvement in the Arts can inspire our youth to aspire to great heights. This will also motivate other young people to become involved in this positive movement and inspire adults to see the best in others. With the few benefits outlined, I encourage you to join the Department of Youth and Sports as we seek to promote Youth Arts Expression over the next four weeks and for the balance of the year and so join us from April 7-17 for Camp Expression geared towards children ages 5-16;April 7-17 for our Costume Design workshop for adults;April 11th for Poetry Night at NEPAC; Every Thursday evening for Youth in the News on NTV, VON Radio and Choice FM; On April 22nd for the Be Your Career Choice Day;On April 24th for the Youth Rally;On May 1st for the launch of the Empowering Young Entrepreneurs Programme and on May 3rd for the Cool Down Beach Bash. We look forward to your entries for the Youth in the Arts Competitions currently ongoing. It’s Youth Arts Expression, so let your minds flow and your talents show. I now, therefore, declare Youth Month 2015 officially Open.